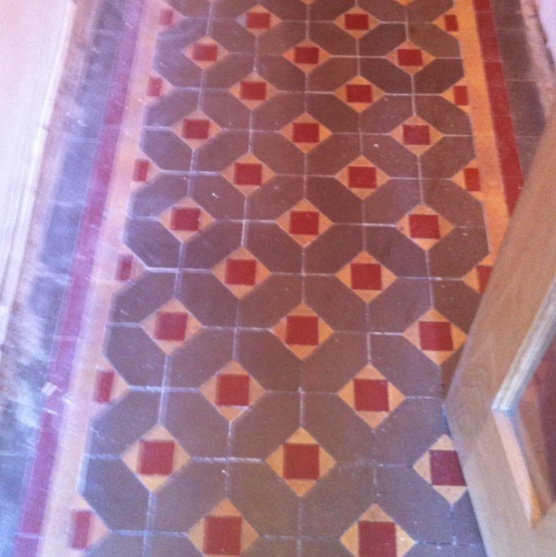 Details below of a Victorian Floor Resotration job in Erdington. The floor was soiled with dirt and paint spots and the owner wanted it restored back to its original beauty and preserved for the future. We used Pro-Clean mixed 50/50 with NanoTech Ultra Clean and hot water mopped on to the floor and left for 20mins to soak to help release the dirt. This was followed by scrubbing with a heavy floor buffer fitted with a black pad; we used a wet vacuum to pick up the solution from the floor and then rinsed with clean water and then steam vacuumed and speed dried with a fan blower. When dry the floor was sealed with 2 coats of Tile Doctor Colour Grow to bring out colour then one coat of Tile Doctor Seal and Go to add a shine. The jobs took two days in total, the photographs don’t really do the floor justice but the difference was remarkable. 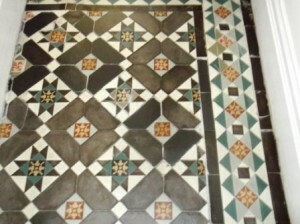 Original Source: Victorian Floor Restoration by Tile Doctor Warwickshire. 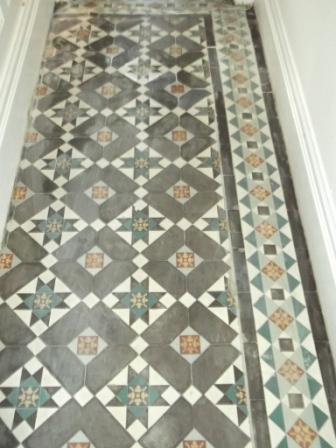 Details below of a Victorian Floor in the hallway of a house in Lancaster which the owner wanted restoring after it was discovered in poor condition under a carpet. We removed the old carpet and applied a 50/50 mix of Remove and Go and Nanotech Ultra-clean which we left to soak for a couple of hours. 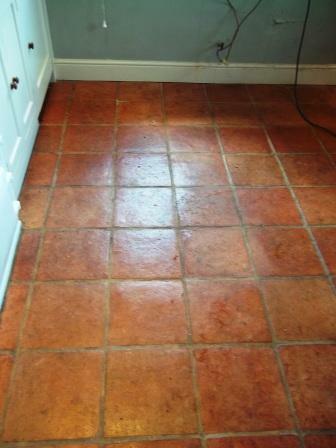 We then cleaned the floor with a Steamer to remove all the dirt and muck and get any old sealer and waxes etc. to rise to the surface ready for a final rinse down. 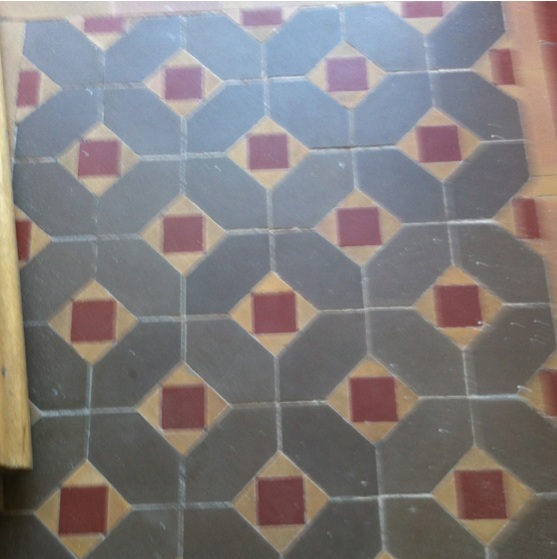 A number of Victorian Tiles where either broken or missing so some tiling work was in order before work could continue. The floor was cleaned again for a final time and left to dry thoroughly before applying the sealer. 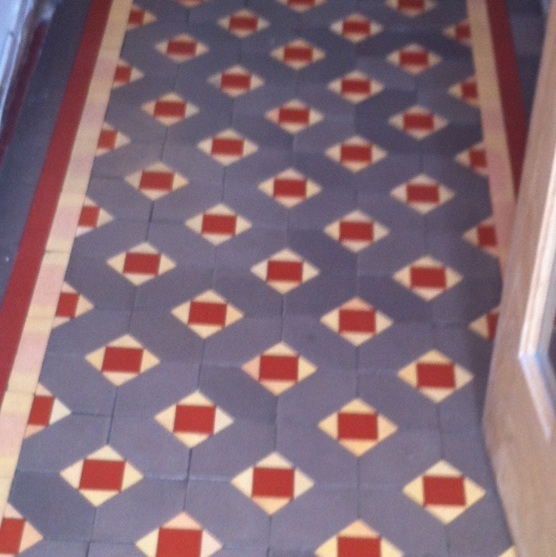 For Victorian Floors we always recommend Seal and Go which is a water based sealer and gives a nice low sheen, provides definition and lifts the colours to the surface. 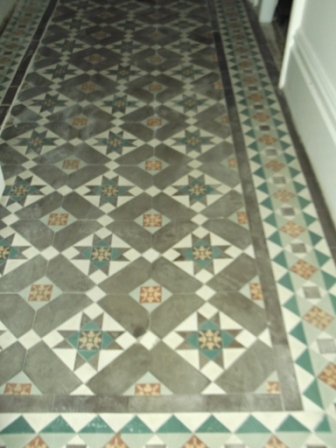 Original Source: Victorian Floor in Lancaster by Tile Doctor Lancashire. 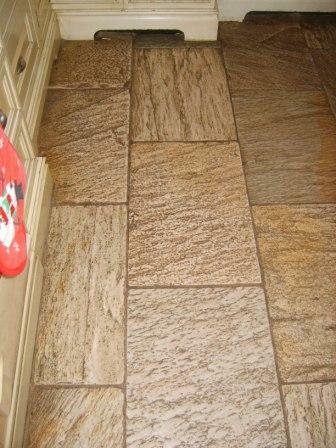 Recently cleaned a tiled kitchen floor which had been laid with Oyster Quartzite tiles, these tiles come from a fine grained rock formed from layers of clay and shale deposits producing a textured finish which although hard wearing can over time allow dirt to get stuck into the grooves. To get the floor clean I used Tile Doctor Remove and Go mixed 50/50 with Tile Doctor Nano-Tech and then left it for an hour to soak. after this time had elapsed I used a Spinner rotary pressure cleaning tool followed with a Wet Vacuum to clean and remove the old sealer and dirt. The effect was very pleasing to the eye but the process does require the use of a lot of water though so prior to starting I used clear silicone to secure the kitchen unit kicking boards and avoid water ingress into the wood. 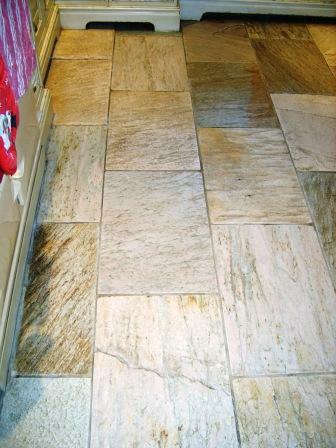 Original Source: Oyster Quartzite Floor Restoration by Tile Doctor Lancashire. 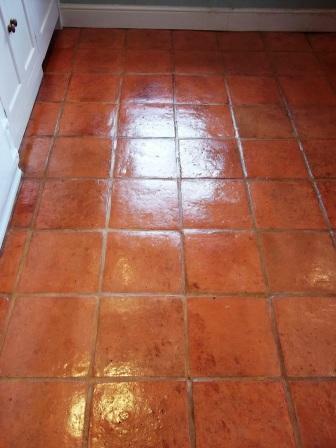 Terracotta Tiles cleaned With Tile Doctor Pro-clean and 2 Black Buffing pads, there were some awkward stains in corners and such so I used Remove and Go and some Nano-scrub cleaner on these, but only after they had been pre-wetted first otherwise Remove and Go is hard to get out of the clay. Lots of Rinsing with water, left to dry overnight and came back the next day to Seal, turned the heating up, opened a couple of small windows front and back to allow for some Airflow and then started to apply 9 coats of Seal and Go with a Paint pad, this took all day, so quite a bit of waiting around, good time to catch up on my paperwork in the van in between sealer drying times. 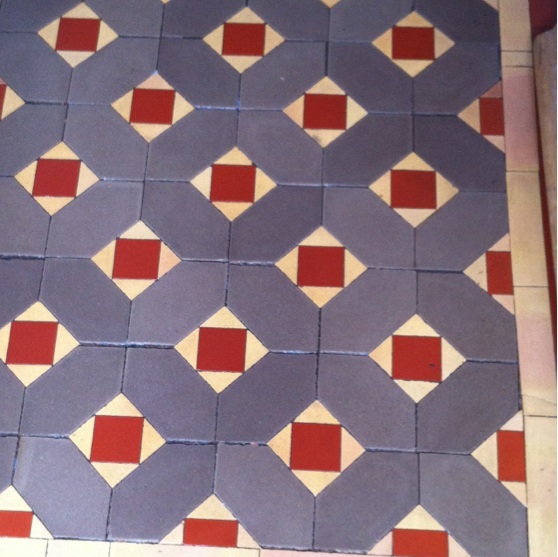 Original Source: Terracotta Floor Cleaned and Sealed by Tile Doctor Lancashire. 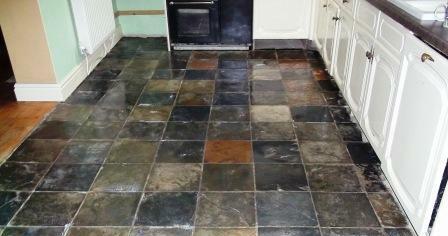 Recently restored a Slate floor in a kitchen which was covered in paint, grout haze and cement. 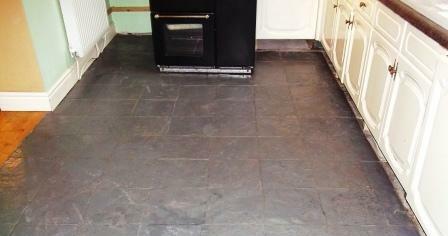 The answer was to mill the slate which got rid of the paint and the roughness of the slate and 90%of the Grout haze. 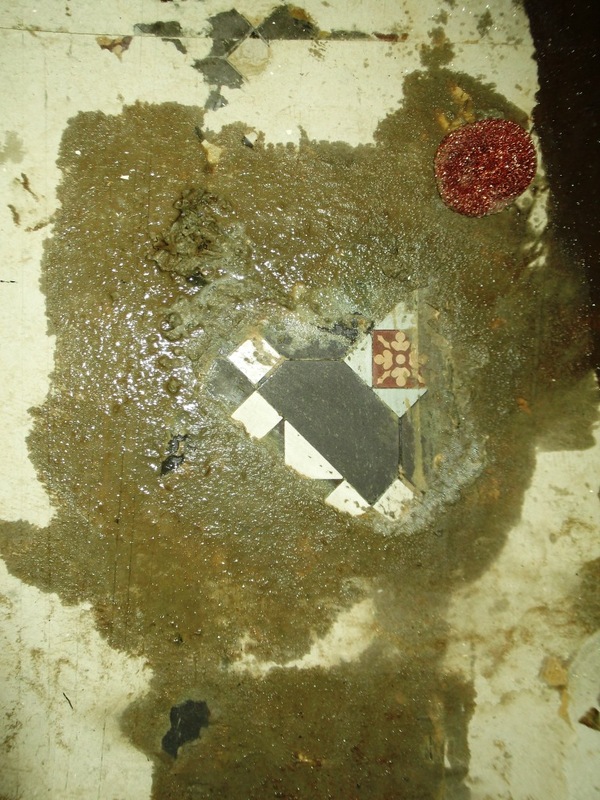 We used Tile Doctor Grout Clean-Up to remove the remaining grout haze, rinsed the tiles down with water and then left them to dry overnight. Once dry (the next day) we applied 5 coats of Tile Doctor seal and Go, which gave them a sheen and lifted the deep colour in the Slate, which had not been diversely afftected by the use of the Milling pads but instead help to lift the colour out of the Slate instead, this system works equally well with Sandstone. 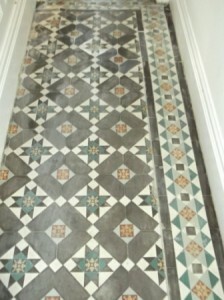 Original Source: Painted Slate Floor Restored by Tile Doctor Lancaster.